Our lovely friends at The Breast Cancer Haven are running some great Tea Cosy competitions to help raise money and awareness for their wonderful organisation. Read on to find out how you can take part in this great cause and maybe win some fantastic prizes! The first week of February was The Big Tea Cosy week where people were invited to host a tea party in order to raise money for The Breast Cancer Haven. 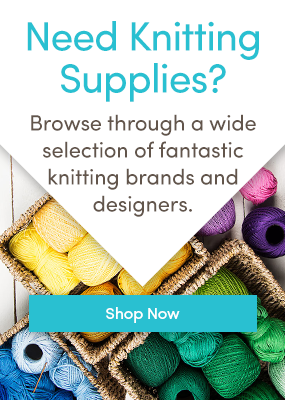 We here at LoveKnitting pitched in with a party as well as selling some tea cosy patterns on our site and raised just shy of £4,000, a figure we are quite proud of! Our party featured some lovely cakes, games, a trivia quiz, and of course A LOT of tea! Even though the Tea Cosy Week has come and gone, The Breast Cancer Haven is still accepting donations, so feel free to donate here or buy one of our lovely patterns here and all proceeds will go directly to them. If you’ve held a Tea Cosy party of your own, or if you plan on holding one, post a photo on Facebook or Twitter with the hashtags #LetsGetCosy and #TheBigTeaCosy for a chance to win! One lucky person will win a KitchenAid Artisan mixer worth £569! And, as if that’s not enough, if you’ve made your own tea cosy post a photo of it with the same hashtags and you can win 60 balls of Paintbox DK yarn from LoveKnitting! The deadline is February 28th, so you still have time to organise a party and knit up a cosy! If you’ve uploaded a project to the community, post a link in the comments below, we’d love to see! Last updated: February 15th, 2017.